Tech. Sgt. Matt Hecht/US Air ForceA US Army AH-64 Apache attack helicopter at Bagram Air Field, Afghanistan. The Army and Navy are testing a missile to replace the vaunted Hellfire. Pilots trying out the missile have spoken highly of its capabilities. More testing is slated before the missile is deployed for combat operations. US Army aviators have been putting the new Joint Air-to-Ground Missile through its paces, as the program works its way to its next milestone, a low-rate initial production decision. The JAGM is meant to provide precision standoff-strike capability to target high-value fixed and moving targets, both armoured and unarmored, even in poor weather conditions. It will replace several air-launched missiles, including the AGM-114 Hellfire, which has seen extensive use in the campaign against ISIS in Iraq and Syria. The versatility and simplicity of the new missile won high marks from pilots testing it. US Army/Tad Browning, Army Operational Test Command Public AffairsPilots fire the new Joint Air-to-Ground Missile during testing at Cibola Range, Yuma Proving Ground, Arizona, in support of deliberate-attack mission against armoured-ground-vehicle targets. The JAGM combines semi-active laser guidance, like that used on the Hellfire II, and millimetre-wave radar, like that used by the Longbow Hellfire, into a single system. Paired with a Hellfire Romeo warhead, motor, and flight-control system, the new missile is designed to hit vehicles and personnel in the open. A programmable delay feature allows it penetrate buildings or vehicles before detonating. The JAGM is an Army program, but it has joint requirements for the Navy and Marine Corps. Lockheed Martin won the engineering and manufacturing development contract in summer 2015. 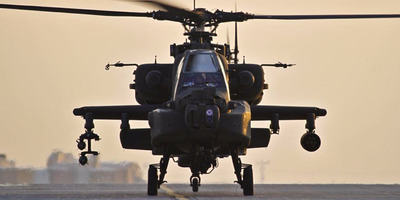 Army and Marine Corps attack helicopters will be the first to see it, though it could eventually make its way on to any aircraft that fires Hellfires, such as unmanned vehicles like the MQ-9 Reaper drone. In addition to allowing the aircrew to fire from outside the range of defence systems, the new missile is designed to protect them with a terminal-guidance capability, which allows the aircraft to leave the area after firing. The aircrew can switch the missile’s guidance between the semi-active laser or a radio frequency within seconds. 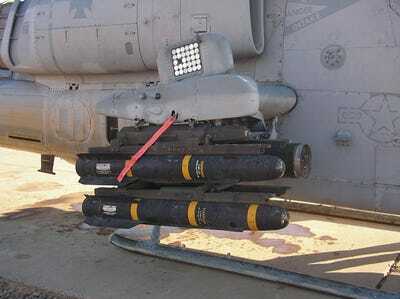 Wikimedia CommonsHellfire missiles on the rails of a US Marine Corps AH-1W Super Cobra. “Using a SAL missile, the last six seconds of the missile flight is the most critical to keep your laser sight on target,”said Michael Kennedy, an experimental test pilot with the Aviation Flight Test Directorate at Redstone Test Center. 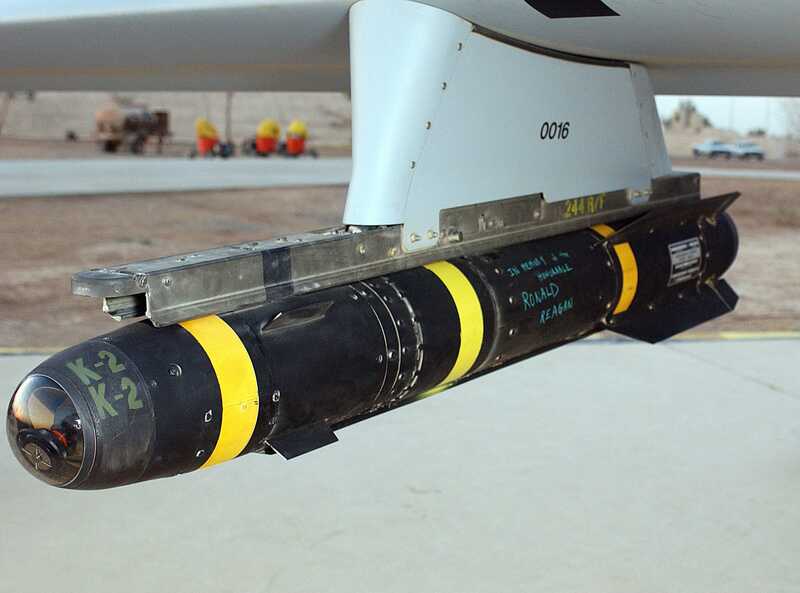 “The ability to not have to put the laser directly on the target and let the adversary know that you are about to kill him is a tremendous benefit,” said Al Maes, an aviation weapons technical adviser for the Training and Doctrine Command’s Capability Manager Recon Attack. In May 2016, a JAGM was successfully tested from an unmanned aircraft, hitting a truck going roughly 20 mph at a distance of about five miles at testing area in Utah. In December, an Apache successfully tested a JAGM off the coast of Florida, hitting a boat from about 2.5 miles away, using both laser and radar sensors for guidance. 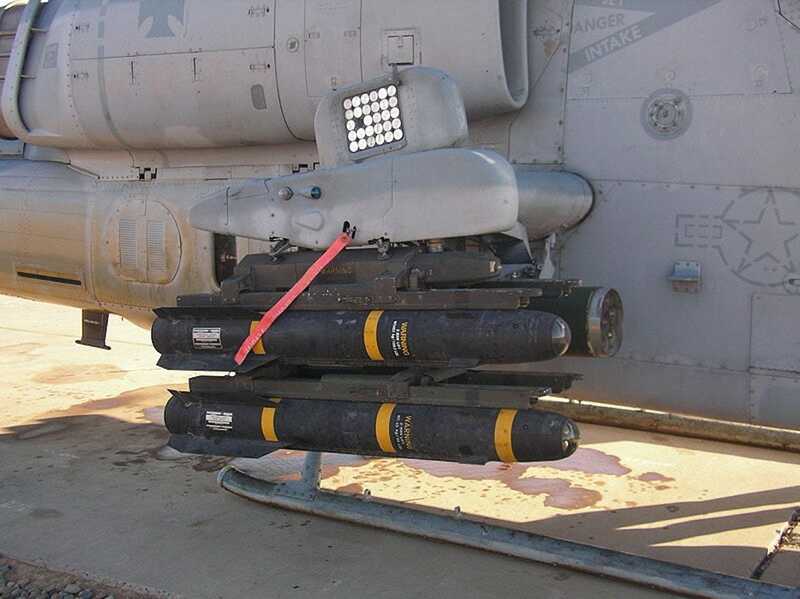 The Navy also successfully tested the missile from an AH-1Z attack helicopter in December at a site in Maryland. Overall, as of September 2017, the Army had done two successful ground launches and 20 successful test launches from an Apache, according to a January report from the Pentagon’s Director of Operational Test and Evaluation, which covered fiscal year 2017. Eighteen of those 20 air-launch tests hit their intended targets under test conditions. Four of those launches included a live warhead – one of which failed to detonate. The DOTE report says that failure analysis is currently underway to find the root cause. The JAGM program plans to test-fire 48 more missiles to support its Milestone C goal in fiscal year 2019, which begins in October 2018. 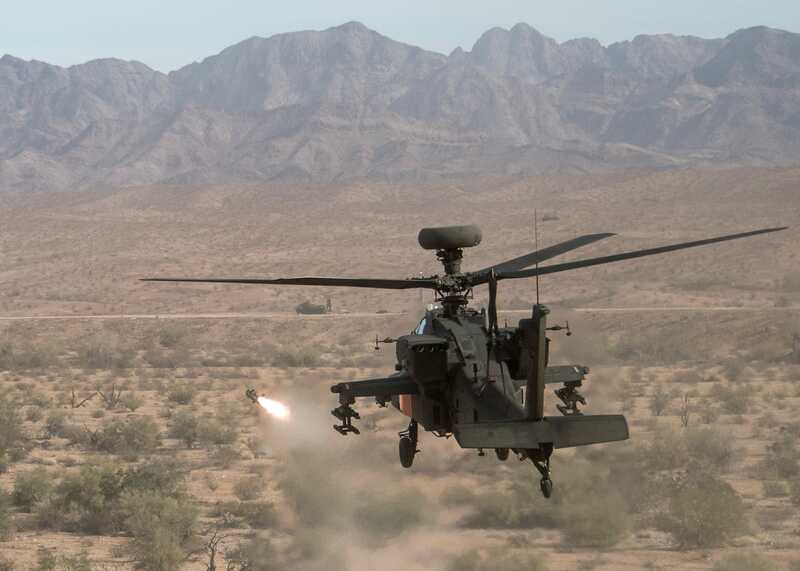 Operational tests are complete, but developmental testing, including new software to support the JAGM’s use on the Apache,will continue at Yuma Proving Ground in Arizona.